ICTO - FAQ » UMMoodle » Assignment Activity » How to create Turnitin assignment in UMMoodle? 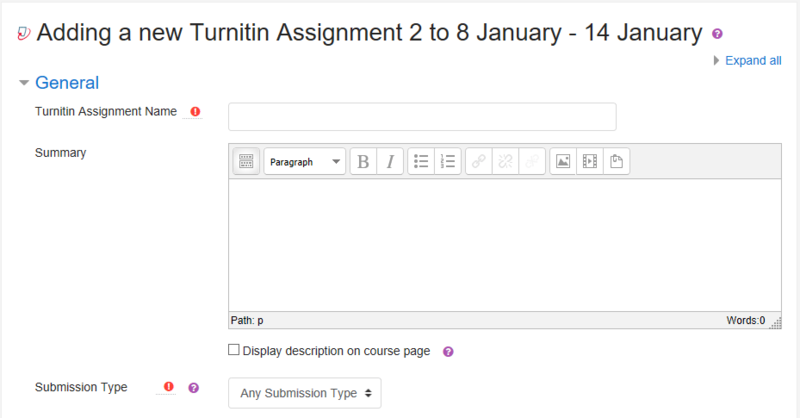 How to create Turnitin assignment in UMMoodle? Turnitin is a plagiarism prevention tool and is designed to help faculty members to easily evaluate the originality of student’s work by comparing their electronic documents to online sources and Turnitin-owned databases. With integration, users can create the Turnitin assignment in UMMoodle. For enquiry about Turnitin, please send an email to the Library at lib_ref@umac.mo. Enter the course and then click “Turn editing on” on the top right menu. In the course outline, choose a Week/Topic and click “Add an activity or resource”. 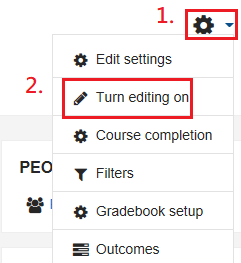 Select “Turnitin Assignment 2” on the left menu, and click button “Add”. Input “Turnitin Assignment Name”, “Description” and “Submission Type”. After you complete filling all those information, click the button “Save and return to course” to create the assignment. How to set aggregation strategy to calculate the overall grade in UMMoodle? How to hide one of my grade item in UMMoodle? What is the text editor in UMMoodle? How to change my default text editor? 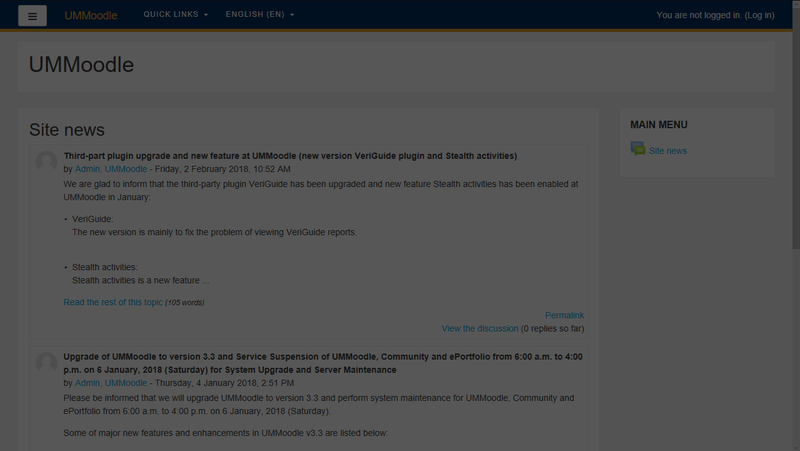 How to enable push notification of Moodle mobile app in UMMoodle Web? How to enable push notification in Moodle mobile app?